Universal remote control RC-820J + D, HUAYU Universal remote control RC-820J + D, which is used for car audio systems. The remote control can also be used for some types of projectors. TV remote control STRONG Z400N series TV remote control STRONG. Designed for the Z400N series. 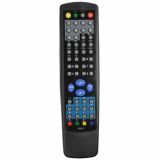 TV remote control for SRT 32HX4003 or SRT32 series Strong TV remote control. Designed for the SRT 32HX4003 or SRT32 series. TV remote control for STRONG 24HX1001 Strong TV remote control. Designed for the 24HX1001. List Price 11.90лв. VAT Incl. 10.71лв. VAT Incl. 9.52лв. VAT Incl. List Price 9.00лв. VAT Incl. 8.10лв. VAT Incl. 7.65лв. VAT Incl. List Price 9.90лв. VAT Incl. 8.91лв. VAT Incl. 7.92лв. VAT Incl. Remote control, programmable, with rolling code Car alarm remote control, programmable with jumping code. Remote Control for BLAUPUNKT 3D TV Remote control for tv BLAUPUNKT 3D. 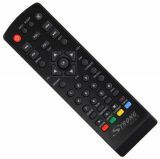 Remote control for digital TV decoder Strong SRT8114 Remote control for digital TV decoder brand Strong. Designed for decoders: SRT8114, PRIMA VIII, SRT8106 и SRT8112. 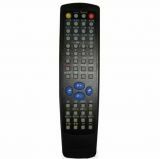 Remote control for digital TV decoder Strong SRT8113/SRT8105, SRT8108 Remote control for digital TV decoder Strong.